From the mailbox to the inbox — musing on direct mail and email creative. Get ready! It will be here before you know it! For what, you ask? Above is how much time we have left until it’s 2017. Did this clock get your attention? Countdown clocks get results in emails and on landing pages. 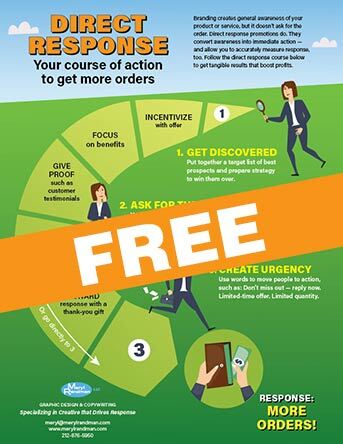 They engage the recipient/viewer and help create a sense of urgency for whatever event or product offer you’re promoting. What’s unique about this clock is that, whenever you open an email or view a landing page you get the exact time before the event — providing real-time incentive to act. That said, what better holiday to test a countdown clock than Christmas — especially when it’s 4, 3, or 2 weeks before the big event! And don’t forget to put some timely visuals in your print campaigns, too: Use a picture of a clock, with appropriate copy. Or show a calendar with the holiday date circled. These are classic tactics that continue to perform well. Let me know if I can be of assistance. Now, how much time until the weekend? Try this out. Look at the above subject lines. 4. If we want to hear Broadway Stars singing this weekend we can go to the Irvington Town Hall. Therefore, we can easily say this: Unopened email can bring in orders. People will just show up at the Gap knowing they can save over 40%, or show up at the Irvington Town Hall and see Broadway Stars singing. Does this tell us that the subject line is not only important for getting people to click-through, but also effective in doing a quick shout out? My answer is yes and no. Look at which sectors it works well for, namely retail and entertainment. You can use the subject line as a marquee that basically states the offer. But If we look at the Adobe subject line: “Avoid the five pitfalls of personalization,” It’s a little different here, in that I can’t really do anything with that unless I open it and read what the pitfalls are. Therefore we can conclude that, a subject line can stand in for an unopened email in certain sectors and with certain offers. But not if we have more of a story to tell.